* Not all shoes available in all sizes. 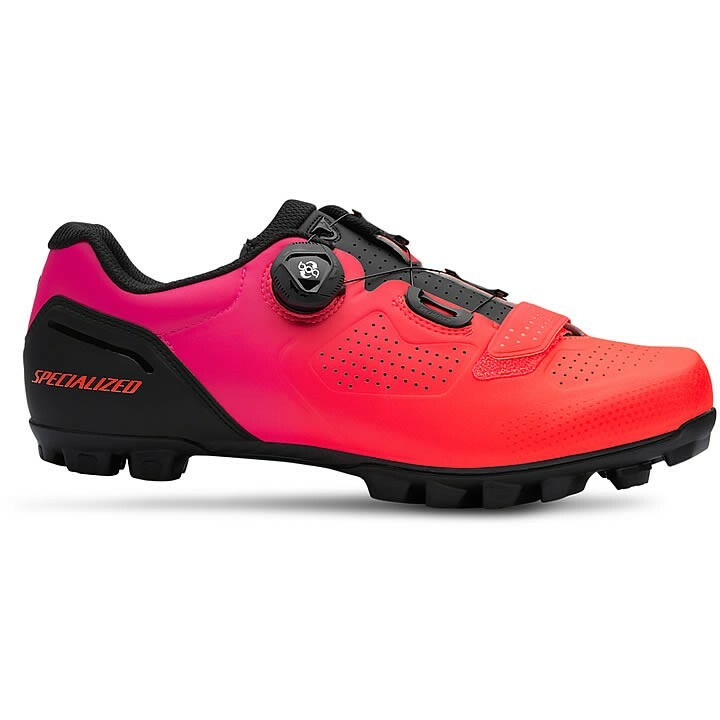 The Specialized Expert XC Mountain Bike shoes take the spirit of high performance found on the S-Works iteration and puts it in a value-loaded package. Along these lines, you'll find that it has everything you need to get your feet wet in cross country racing and riding, like a light overall construction, a sophisticated carbon outsole, Boa® closures, and a durable SlipNot™ rubber tread. So go ahead, push it a little harder - these shoes are here to take you to the next level. Light, supple thermo-bonded upper for a superior fit. Body Geometry sole and footbed construction is ergonomically designed and scientifically tested to boost power, increase efficiency, and reduce the chance of injury by optimizing hip, knee, and foot alignment. SlipNot™ rubber outsole is optimized for grip and durability in all conditions.